We talked about MSI releasing a BIOS update that allowed users to configure 6 GPUs, in order for them to work properly when mining. 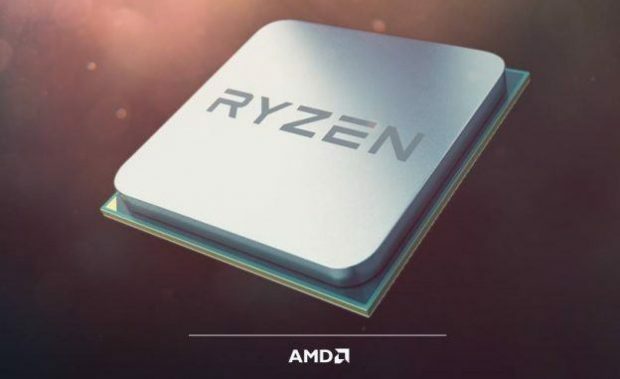 It seems that ASRock has seen the potential in the mining market and it is one step ahead of the game. This ASRock cryptocurrency mining motherboard allows miners to use 13 GPUs at the same time. With the older Intel motherboards now discontinued it is hard to find an economical motherboard for mining that supports a large number of GPUs. It seems that not only are GPU manufacturers making most of this new demand but motherboard manufacturers are also trying to capitalize on this trend while it lasts. This ASRock cryptocurrency mining motherboard is the first of its kind. Windows 10 only recognizes up to 8 GPUs so in order to use the additional 5 you will need to use Linux. It is possible that somewhere down the line we get a Windows update that allows users to use more than 8 GPUs but as of right now, Linux is the only option that you have. This is not the first time that we are hearing about this motherboard, we also got to see it at Computex this year. The price is 15,980 yen which is roughly $140. It this is indeed the price of the ASRock cryptocurrency mining motherboard then this will be great value for money. Especially for miners. 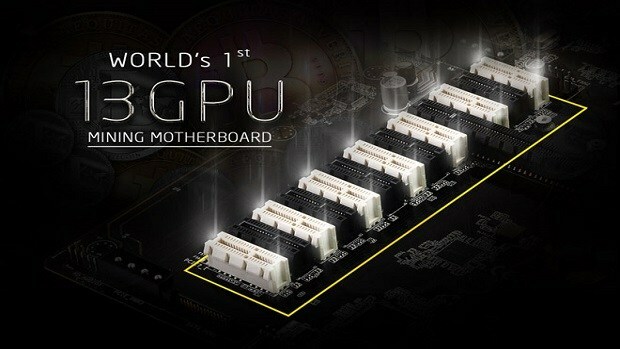 AMD and Nvidia will also be introducing GPUs aimed at the mining market. These GPUs will be cheaper as compared to the gaming GPUs and will have no display ports. This should stop miners from buying gaming GPUs and annoying gamers that want to buy a new GPU but are unable to because they are all sold out. Let us know what you think about this ASRock cryptocurrency mining motherboard and whether or not this is something that you might be interested in. 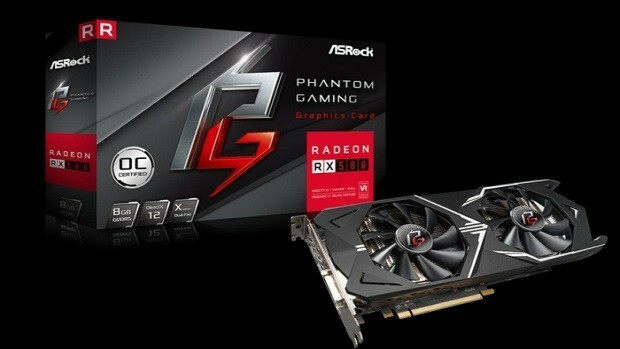 ASRock Entering Graphics Cards Market, Will Graphics Cards Availability Become Any Better?